Discover how you can gain back hours in your day and stand out above your competition? In today’s environment, running a childcare care centre can be quite challenging. Trying to provide a high quality of childcare in a warm and inviting family environment, looking after the children, supporting the families, supporting your team members, maintaining a high quality centre and meeting all legislated compliance requirements is quite a handful. On top of that, you need to ensure your centre is at its capacity, to make it commercially viable and rewarding for you the owner. Even a not for profit centre has to be run profitably to ensure its long term viability. The day to day work load of a centre owner or director can be very hectic and hindered by constant distractions, interruptions and procrastination. Getting the important things done is quite difficult, because you always seemed to be putting out little fires everywhere. Our time management coaching program has a key emphasis on training you on how to significantly reduce these 3 road blocks, procrastination, interruptions and distractions. 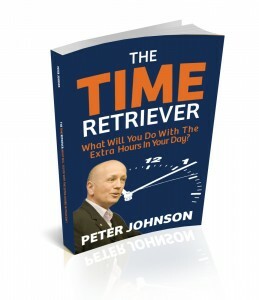 Helping you to change poor lifelong time management habits into habits that will see you gain hours back in your day. Ultimate Time Management Coaching Program For Childcare Centre Owners & Directors Part 1. There are a lot of specific activities childcare educators have to carry out on a daily basis when working in a centre. Getting these activities completed can be quite a task in itself. 1300 794 401 or by email: success@timeretrievers.com.au . Are you frustrated with doing what everyone says, planning your day, creating and prioritising your To Do List, but find you can never get it done because you put things off, or are constantly distracted and interrupted during your day?